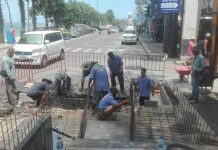 If there’s a blank patch of wall or pole on a Pattaya street, you can be sure someone will slap up cheap flyers or advertising on it. 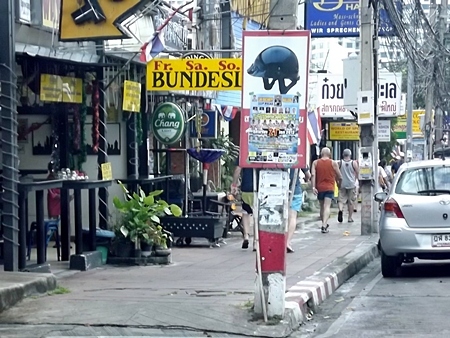 This eyesore of a scene was captured on Naklua Soi 33, but is a common sight throughout Pattaya. Rather than pay for advertising, or adhere to city regulations on advertising and signage, people have taken it upon themselves to litter the city with promotional junk, knowing full well city officials won’t actually enforce the law. This mai pen rai attitude toward wanton promotion of everything from the latest disco rave to hair care products makes Pattaya look increasingly shabby and frustrates law-abiding companies that pay sign taxes and adhere to the rules. 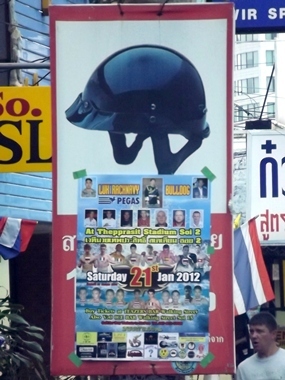 As the photo shows, even a joint public-private campaign to promote motorcycle helmet use has fallen victim to touts who’ve slapped up their cheap flyers over it. It’s time for the city to launch a street cleanup effort and get serious about enforcing existing signage and advertising regulation.